What allergens do KitKat Chocolatory creations contain? Please view the product page for each of our delicious creations. Our kitchen handles the following allergens - wheat, soy, milk, egg, gluten, peanuts, tree nuts, seasame & sulphites. All KitKat products containing Palm Oil contain RSPO responsiblly sourced, sustainable palm oil. There's a 10 character limit for your label. If you choose a label that our Break Experts think isn't suitable, they'll be sure to let you know. How do I place a Create Your Break order? How many KitKat Create Your Break orders can I place? How long will my KitKat Create Your Break order take to make? All KitKat Create Your Break products are handcrafted to order. In boutique, our ordering kiosks will display the current average waiting time. Go take a break – we’ll send you an SMS when your order is ready to collect. Ordering online? We'll send you an SMS when your order is ready to collect. What's the latest I can place my Create Your Break order each day? There's always time to order your break. Orders placed within 3 hours of boutique closing time will be ready for collection from 10am the next morning. How long will my Create Your Break creation last? Our Create Your Break products are best enjoyed within 30 days from creation. The Best Before Date can be found on the pack. Can I pick up my order the next day? Absolutely. We'll hold all Create Your Break orders for 3 days from the time you place your order. Need a little longer? Let us know. To change your personal information and preferences, or if you are concerned about a possible interference with your privacy or misuse of your personal information by KitKat Chocolatory team or Nestle, please contact the Nestle Privacy Officer here to obtain a Privacy Complaint form. It is out policy to handle complaints in a timely, effective, fair and consistent manner. The personalised label on my product is incorrect. What do I do? You don't an account to place an order with KitKat Chocolatory. Just add items to your basket and check out. I'd like to order a bulk amount of products as gifts for my staff. Can I do this? No; we think it's much nicer to receive a special gift, so why not surprise that special person! Once you've placed your order, you'll receive a confirmation e-mail. If you don't receive this, click here to contact our customer service team. Remember to check your junk e-mail box first as it might be hiding in there. Yes, you should have received an e-mail shortly after you completed your order. Check that it's not hiding in your junk e-mails, but if you still haven't received it, then click here to contact our Break Experts for assistance. Unfortunately, KitKat Chocolatory orders can only be placed online or at our boutiques. Is faulty. This includes products that arrive to you in a damaged condition. For products purchased in boutique, take a break and come visit our friendly team with your product & receipt. You must retain your receipt as proof of purchase to claim a refund in our boutique. 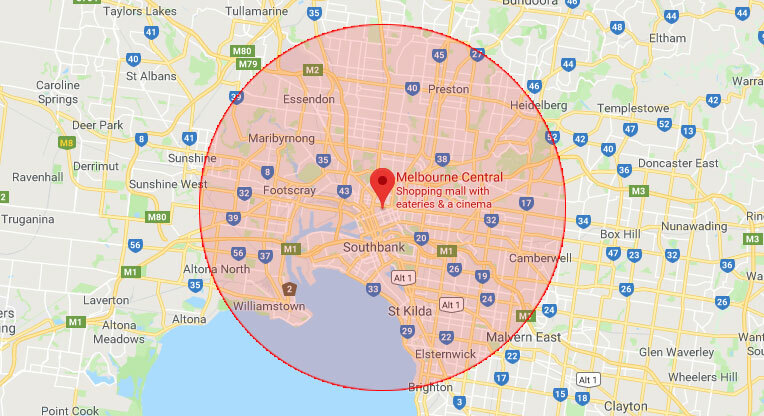 At present, KitKat Chocolatory orders placed via our e-boutique can only be shipped within a 15km radius of Melbourne CBD. For corporate orders over $500, please contact us to discuss a bespoke delivery solution. We also offer Click & Collect from our Melbourne Central boutique - please allow at least 3 hours between order and collection. KitKat Chocolatory orders placed via our e-boutique will be shipped with our partner, Zoom2U. Unfortunately, we cannot deliver to P.O. Boxes and all orders must be signed for on receipt. Orders placed by 9am each morning will be delivered by 6pm the same day. Orders placed after 9am will be delivered by 6pm the following day. Delivery with our partner, Zoom2U, is available 7 days a week. We offer flat rate shipping on all orders - of $15. Our Break Experts are fanatical about ensuring your chocolates arrive in perfect condition. We've partnered with Zoom2U to ensure we hand deliver every order right to your door. Unfortunately, KitKat Chocolatory orders can only be shipped within a 15km radius of Melbourne CBD at this time. As soon as our Break Experts ship your order, you'll receive an SMS from our delivery provider, Zoom2U.